In their infinite wisdom Triumph has provided tools to remove the rear wheel of the Tiger, but not the front. 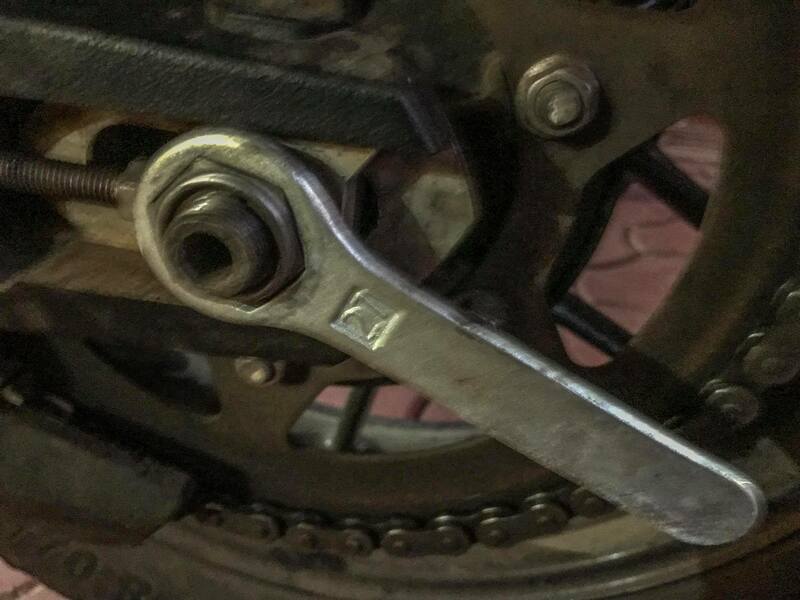 I’m not sure how Triumph expects owners to remove the front axle which needs a 17 mm Allen key. 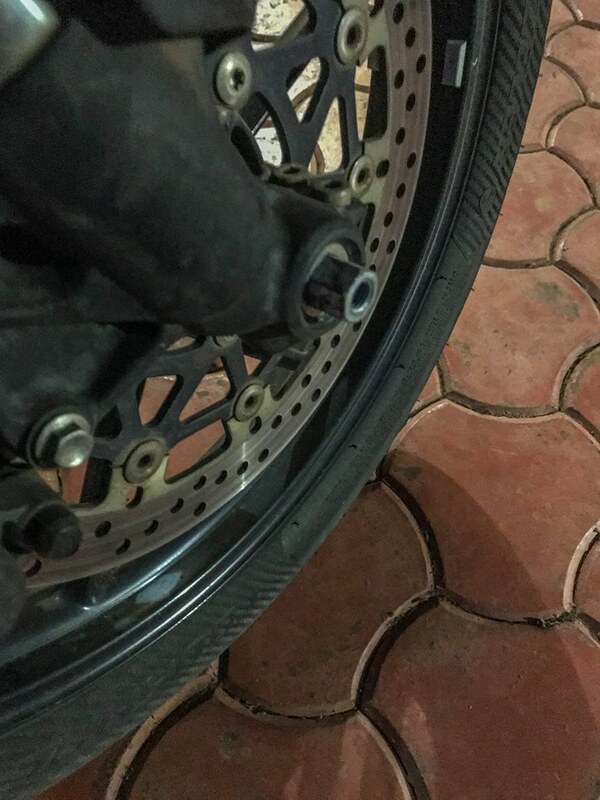 This may not be a huge problem for owners of the XR range of Tigers since they have alloy wheels and don’t need to remove the tyre to fix a puncture. 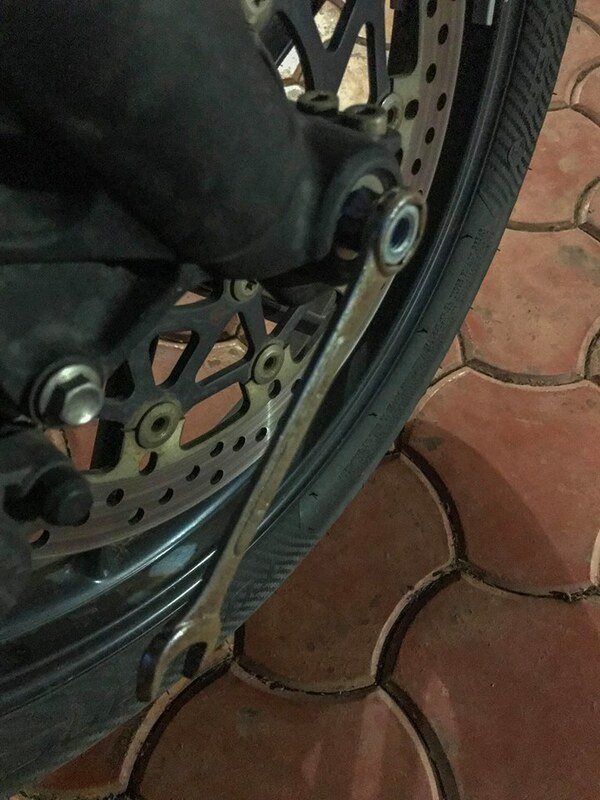 But for the owners of the XC range of Tigers, they have no way of removing the front axle nut using the toolkit provided with the motorcycle. 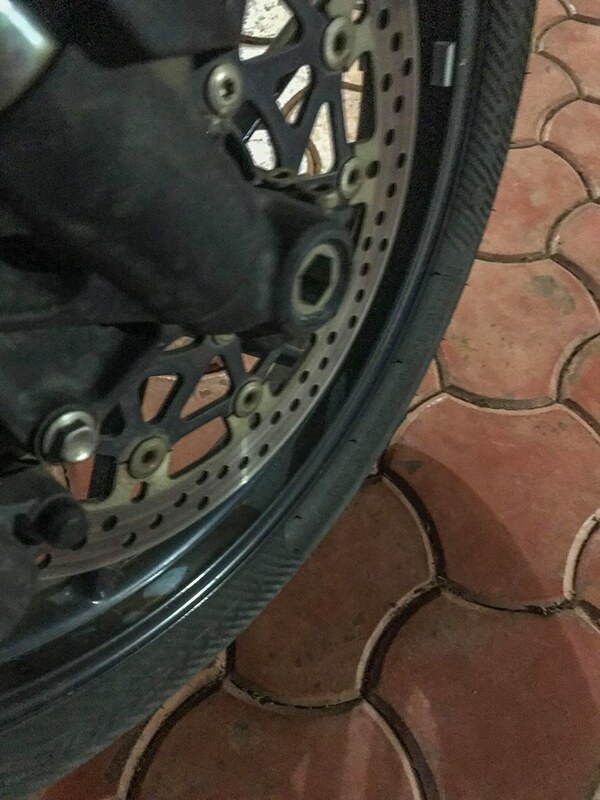 They need to remove the front wheel to fix the puncture themselves or take the wheel to a puncture repair shop. I find this ridiculous given the fact that the XC range of Tigers are off-road biased and you are expected to take them far away from civilisation and have an adventure. I think just getting the front wheel off the motorcycle by the side of a highway would be an adventure in itself. Instead of adding a 17 mm Allen key to my Tiger’s toolkit Altaf Khalifa suggested a better idea. 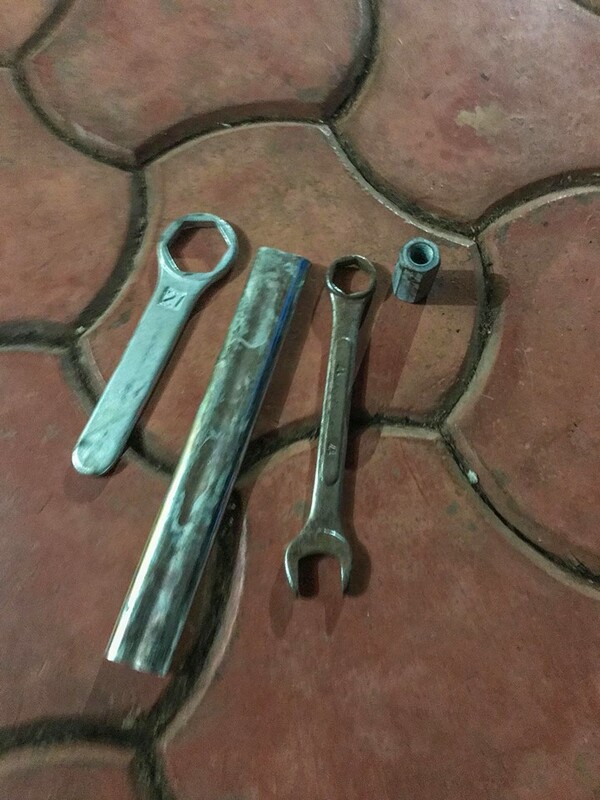 A 17 mm long nut and a 17 mm ring spanner. Feel free to share this with Tiger XC owners. They may thank you one day.